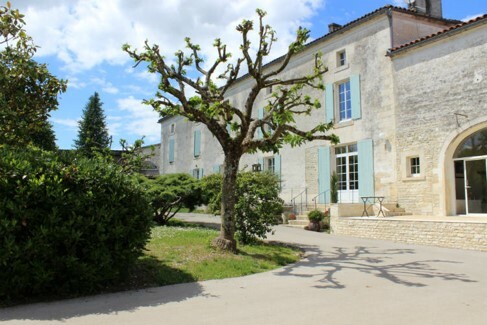 but the family has been present as distillers in the Charentes region since 1705. 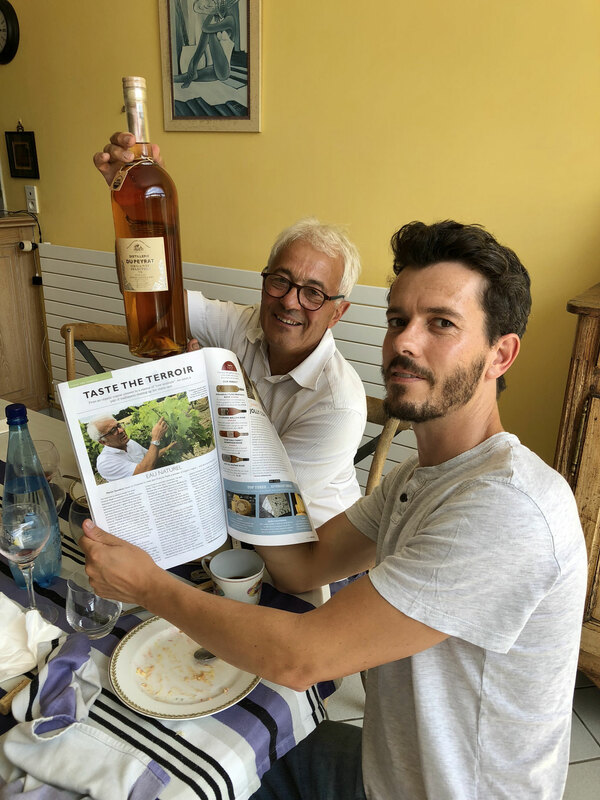 After having distilled Cognac for bigger, well known brands, the owner, Jean-Francois Rault, decided to produce and market his own Cognac with a rather unique specialization in the Cognac area: the production of Organic Cognacs. 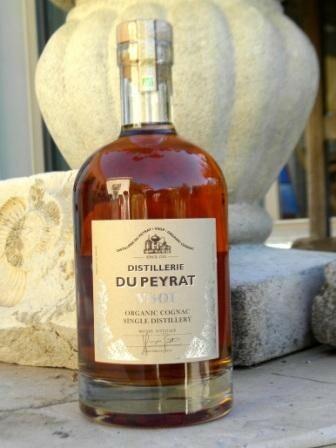 Distillerie du Peyrat now produces exclusively 100% organic Cognacs. 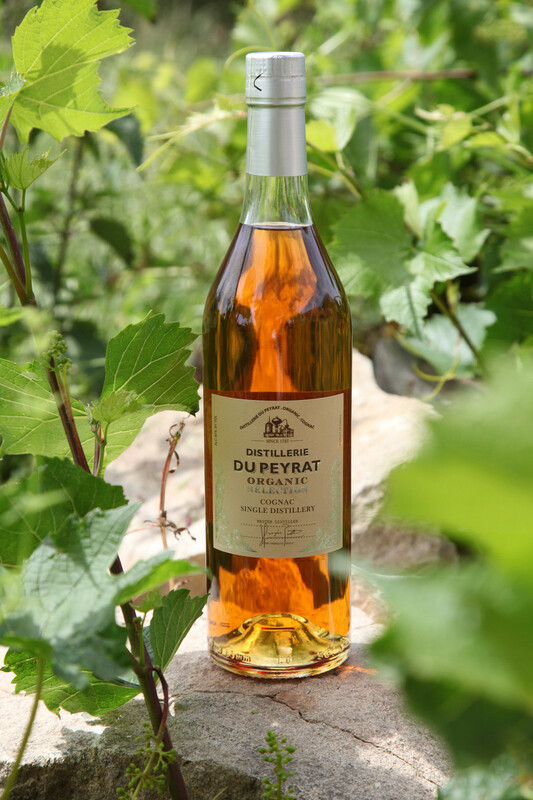 Located in a small village 10km East of Cognac on the banks of a river, du Peyrat produces, distills and ages their eaux de vie with the respect of the environment and the intense expression of the terroir. 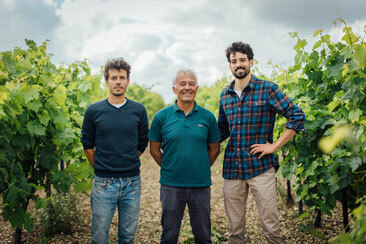 About the product: Location of the vineyard: in the Fins Bois delimited area of production, just a few km away from the delimited Grande Champagne area, also known as the first cru. 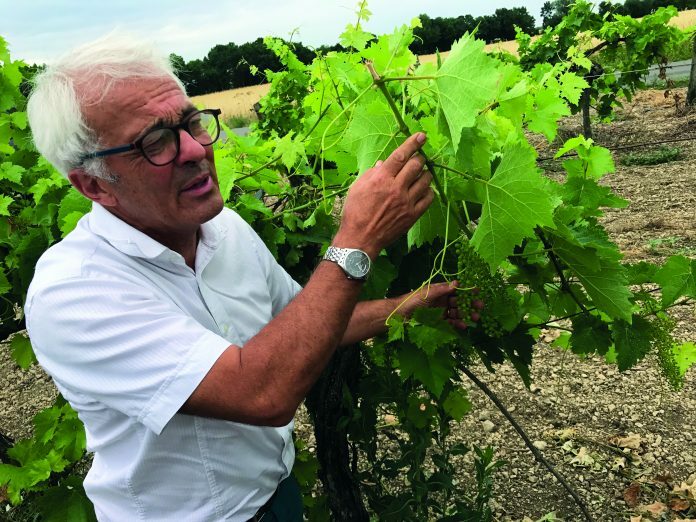 Terroir: because of its proximity to the Grande Champagne area, the vineyard benefits from 2 terroirs, producing assemblages (blends) that have strength and fullness, but will yet be round, supple and mature quicker than cognacs from the Grande Champagne. 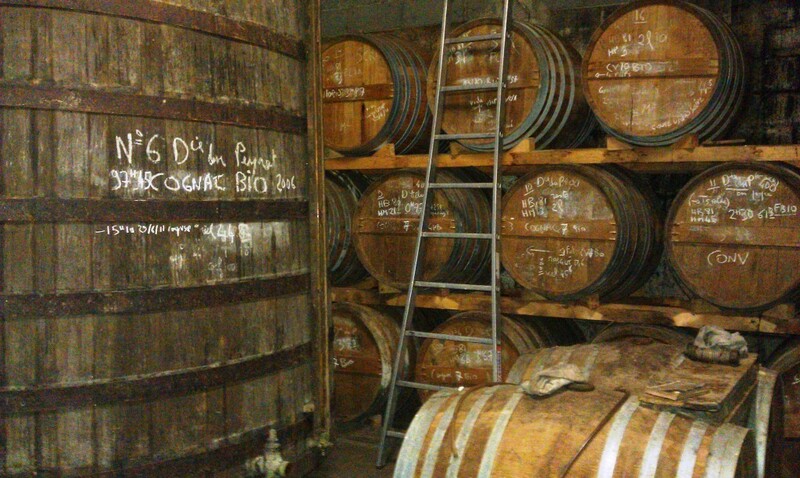 Cognac du Peyrat is certified organic by the USDA, and the strict European organization, Ecocert. 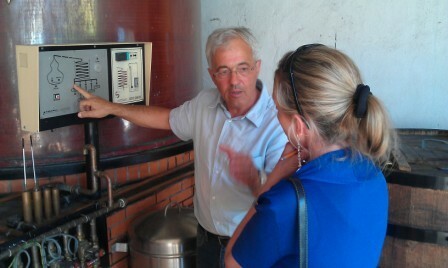 - Choosing “green” electricity produced by sustainable methods. - Installing photovoltaic solar panels. - Adopting the use of recycled paper. 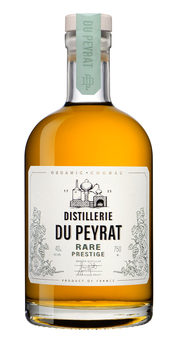 A blend of young and lively cognacs; fresh and surprisingly round due to a special, fatty distillation process. 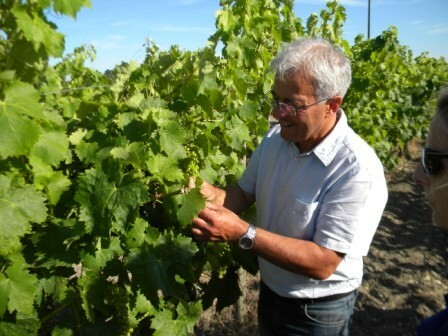 "Aromas are redolent of ripe juicy apricots with hints of tropical fruit. Rich and sweet in the mouth, flavors are pristine and focused with stone fruit, white tea and fresh flowers shining through. Smooth and balanced. Excellent, highly recommended." A minimum of 7 years old. 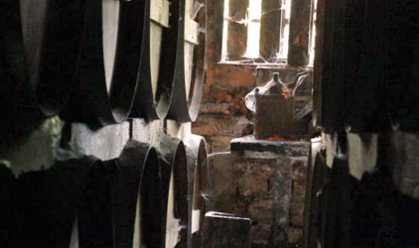 Vanilla, plum, apricot aromas - refined, light, mellow and round on the palate.